She was born in 1995, Krasnodar. 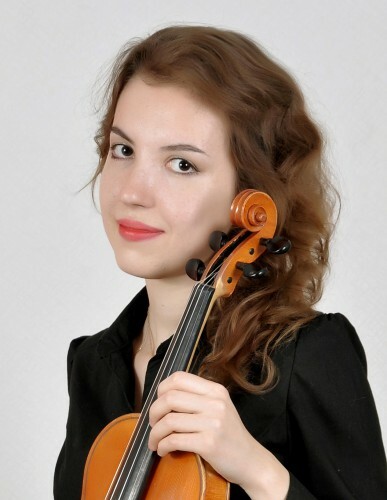 In 2009, she graduated the Krasnodar Children's Music School No.1 (Class of Peter Aznauryan). From 2002 to 2011 she studied at the Central Music School under the Tchaikovsky Moscow State Conservatory (Class of Tatiana Polozova). From 2002 to 2014 she studied at the Central Music School under the Rachmaninoff Rostov State Conservatory (Class of Professor Dmitry Sheinkman). He is currently student of the Rachmaninoff Rostov State Conservatory at the same Teacher Class. Participant of of master classes of Tatiana Samuel. Graf Murzha and Mayu Kishima. Participant of master classes of Honored Artist of Russia, Professor Alexander Shustin.